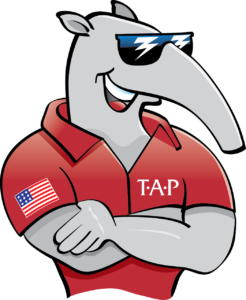 Tapper emerged from the creative genius of Bill Turk, CEO, and is now the official mascot of TAP Pest Control Insulation. He is proud to represent this new Thermal, Acoustical, Pest Control (T·A·P®) insulation product that provides consumers with a solution to manage both rising energy costs and pests, but also furnishes pest management professionals with an off-season service to market and staff with specially trained employees. Q: What is it like representing such an innovative product such as TAP Pest Control Insulation? Tapper: Being a humble individual, I am simply grateful to be given this amazing responsibility. It is one that I don’t take lightly. I work hard and enjoy making others smile! Q: You are adored by fans across the U.S., what is the catalyst behind your success? Tapper: With skyrocketing energy costs for consumers, pest management companies were losing employees in the fall and winter due to the seasonality of the industry. That is where I come in to demonstrate the value of TAP Pest Control Insulation as an additional service offering and revenue stream. Tapper: I tend to see myself as someone who likes to empower others. In fact, my goal is to provide pest management professionals and home builders alike with new revenue opportunities through an innovative, environmentally-responsible, and high-value pest control and insulation product. Therefore, my number one strength is empowering others to succeed. Q: Sounds like an awfully big task. How do you do it? Tapper: That’s easy…I enjoy connecting with people and sharing how they can improve their home and their business. The more people who know how big their business can grow the better. Q: What do you do in your spare time when you are not promoting TAP Pest Control Insulation? Tapper: I am so glad you asked. One of my favorite hobbies is to help others identify the type of insects in their homes. You and your family can join in the fun by visiting http://www.insectidentification.org/. I am fanatical about insects. I guess it all started when I was just a young lad. Bugs are everywhere, so there is always fun to be had! Tapper: While I have an eclectic taste, I am partial to Bugs by Pearl Jam (1994). I am a big fan of eighties music and, of course, insects. Tapper: I like a good thriller. I would have to say Arachnophobia. It has some great scenes that really get you going. Tapper: That should be obvious as I am an anteater. But truth be told, I prefer chocolate covered ants to the run of the mill kind. Watch out for those Bull Ants, though, they are spicy! Q: Who do you most admire and why? Tapper: I would love to have a conversation with William Kirby, the father of Entomology. From everything I have read, he just seems like one cool hipster and innovator in his time. Q: So, Tapper, what is your last name? Tapper: Now that is a question, isn’t it? I guess you can say that since there is only one me, I only need one name. Remember, if you are in need of success, just call for Tapper! 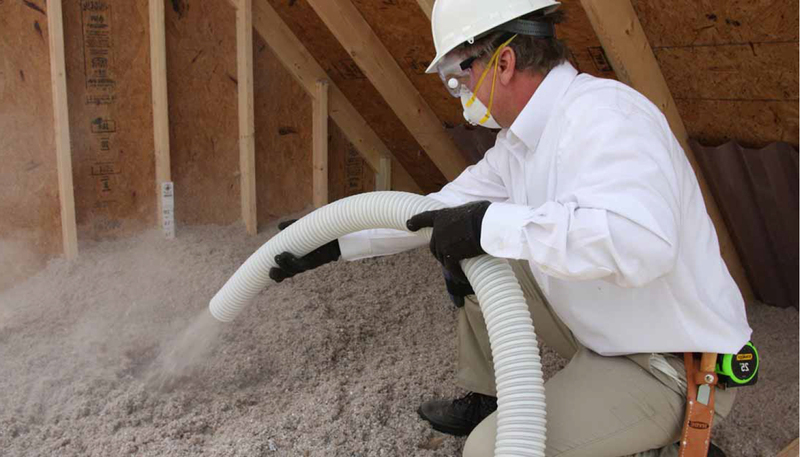 * Tapper and T·A·P® Pest Control Insulation are trademarks of Pest Control Insulation, LLC.